Alien Gear Holsters is celebrating the milestone of reaching 1 million Facebook fans by offering a free Single Cloak Mag Carrier with any holster purchase. Social media’s Rob Russo was excited to finally celebrate the momentous achievement with Alien Gear Holsters’ fans and customers. The Cloak Mag Carrier is made with premium engineered polymer and provides the wearer with versatility and comfort. 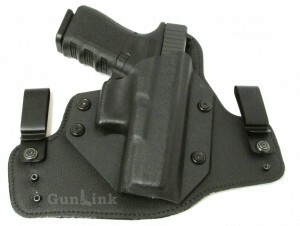 It also has the ability to switch from inside-the-waistband (IWB) to outside-the-waistband (OWB). The single carrier normally retails for $33.88. In response to winning Concealed Nation’s 2016 “Best Holster in the History of Ever” reader poll, Alien Gear Holsters teamed up with the concealed carry website powerhouse to deliver the all-new Cloak Tuck 3.0: Concealed Nation Edition. Sporting a brand new look, the Cloak Tuck 3.0: Concealed Nation Edition comes as a product of a dual collaboration between both brands. During the online poll, Alien Gear Holsters won several titles from Concealed Nation’s readers, including the highest in gun holster comfort, holster utilization, repeat business and affordability rates. For Customer Service Team Leader Maxwell Wiener, the opportunity to connect with such a highly regarded concealed carry website is an exciting time for both brands. 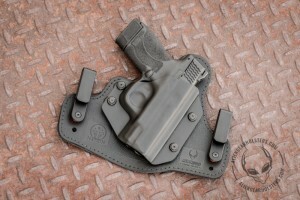 Concealed Nation’s Brandon Curtis is also excited to offer customers a concealed carry holster. 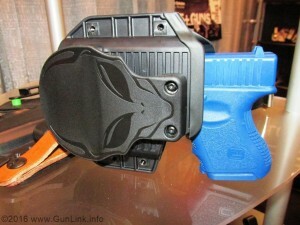 Alien Gear Holster and Concealed Nation fans can order this special edition Alien Gear IWB Holster here. 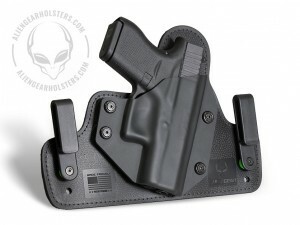 As a follow-on to their original Cloak Tuck and Cloak Tuck 2.0 lines of holsters which we have previously reviewed, Idaho-based Alien Gear Holsters has announced the release of the next iteration of their inside-the-wasitband (IWB) holsters. This latest iteration brings new materials to the holster line, as well as some improvements such as a steel insert covering the footprint of the pistol for durability while leaving the ends of the holster flexible enough to conform to your body. Alien Gear Holsters has revolutionized the concealed carry industry once again with their new and improved ‘Cloak Tuck’ 3.0 iwb concealed carry holster. Designed for even greater comfort and concealment, the ‘Cloak Tuck’ 3.0 features a lightweight design, soft neoprene fabric, ballistic nylon, and a stainless spring-steel core.